Get a grip on promotional success when you give out the BIC (R) Clic Stic (R) Grip retractable ballpoint pen! Assembled in the USA, this writing implement features a white barrel, soft dimpled rubber grip, and break-resistant pocket clip. 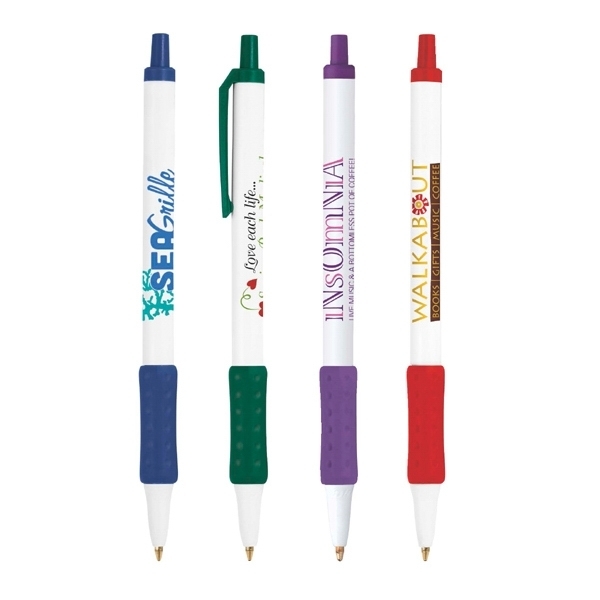 Your silkscreened imprint will build brand awareness every time it's used! 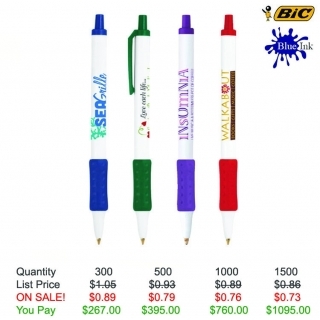 A great giveaway for any venue, business or program, this piece will stand out at your next event. Order yours today for a winning campaign! Product Features: Soft dimpled rubber grip and break-resistant pocket clip. Good quality pen for the money. I would definitely recommend this pen to other customers.